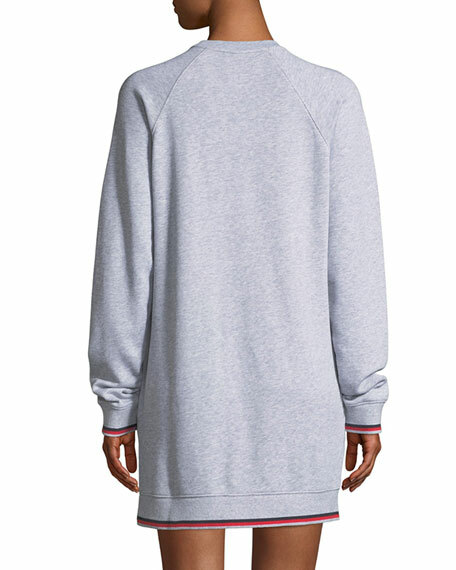 The Upside loopback cotton sweatshirt dress. "Knockout" & boxing glove motif on chest. Striped rib hem & cuffs. For in-store inquiries, use sku #2537249.